Come “Paint the Town” in Annapolis Royal! 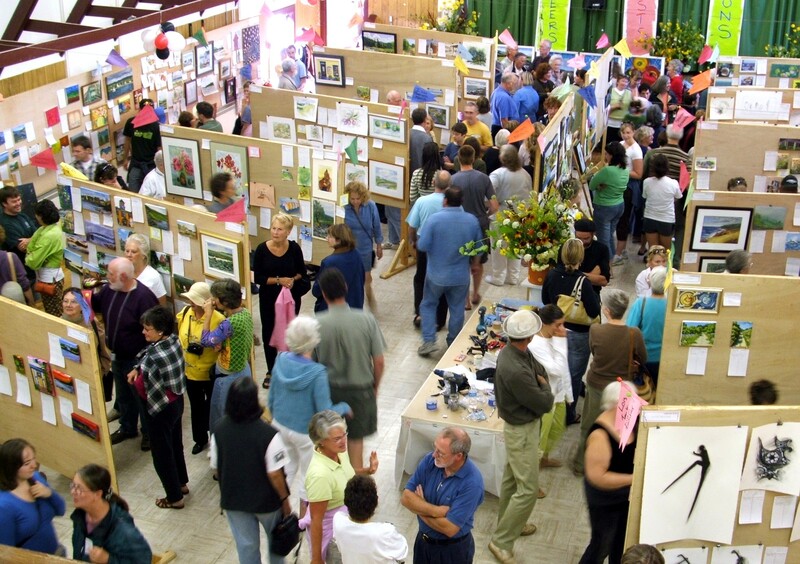 "Paint the Town", Aug. 21-22, offers fun for all ages in Annapolis Royal. Paint the Town© is the anchor fund raising event for the Annapolis Region Community Arts Council (ARCAC) and its artist-run gallery, ARTsPLACE. The 15th annual event is on tap for Aug. 21 – 22 and will feature over 100 artists and crafts people creating works of art inspired by this beautiful, historic town. Rain or shine artists set up easels at locations that include the Historic Gardens, Fort Anne, scenic Boardwalk area, Farmers and Traders Market, Court House corner and ARTsPLACE. All are encouraged to work in whatever medium suits them best and the outdoor format. Paint the Town© is great fun for artists, craftspeople, buyers and browsers alike! A portion of each afternoon’s auction benefits ARCAC. The first Paint the Town© took place in August 1996, with 25 artists coming to paint on site around the historic town of Annapolis Royal. Today it has grown into the anchor fund raising event for the colourful Annapolis Region Community Arts Council. This entry was posted in Arts, Explore Annapolis Royal, Gardens, Heritage, Lighthouse Preservation. Bookmark the permalink.